Sorry for the lack of posts the past few days 😦 Unfortunately, school got incredibly busy really fast. 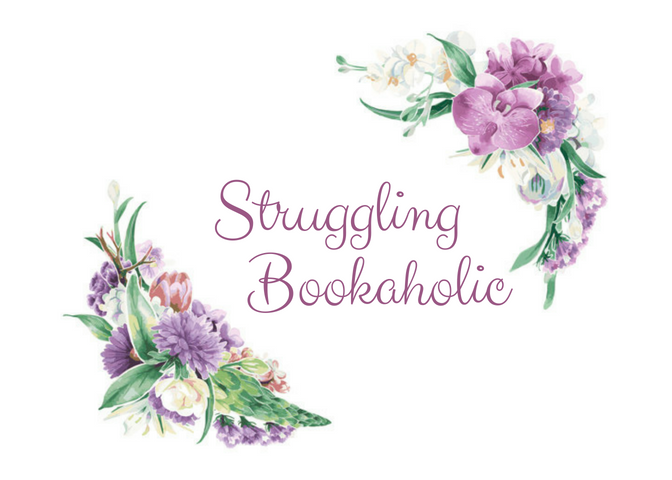 I really did want to participate in all seven blog challenges for the Winter 2018 Biannual Bibliothon though, so even though I’m a little late I’m going to finish them! Day five’s challenge was created by Reader Rayna, and it was to rewrite a scene from any book you enjoy and incorporate magic. I really want to use The Upside of Unrequited by Becky Albertalli for my book but I listened to it on audio so I don’t have the exact words in front of me and I’m unable to rewrite it. Instead, I’m just going to reimagine a scene from this really adorable novel. Molly Peskin-Suso is really crafty and artsy, a talent that extends to cooking. In one part of the book, she makes her crush, Reid, edible cookie dough (which he loves). Molly is also a helpless romantic. She falls fast and hard for guys but has no idea what to do about her crushes so she’s never had a boyfriend. When thinking about what scene I would reimagine to incorporate magic, I realized I would definitely have rewritten the cookie dough scene. Instead of cookie dough though, Molly would have made Reid the love potion, Amortentia. Even though she’s had plenty of crushes before, she knows this one is different and she really wants Reid to like her back. I can imagine her using her potion making abilities to make sure this crush is finally requited. Day six’s challenge was created by A Bookish Gal, and it was to discuss your favorite or most memorable read of 2017. I had two favorite reads of 2017: Caraval by Stephanie Garber and Daughter of the Burning City by Amanda Foody. Although I don’t like one more than the other, I’m going to talk about Caraval because I already wrote a review of Daughter of the Burning City (which you can find here). This book is about two sisters, Scarlett and Tella, who have always dreamed of going to Caraval, a faraway performance where the audience participates in the show. However, when they finally get their chance, nothing goes as planned. By the time Scarlett arrives on the island, Tella has gone missing. She searches frantically for her until she is told that her sister has been kidnapped and the only way to get her back is to win the game. Desperate to save her sister, she is emerged in the vivid world of Caraval along with a charming (yet slightly irritating) sailor named Julian. The challenge is that she only has a few days to follow the clues the players have been given while trying to determine what’s real and what is an illusion. I’m probably not doing the plot of this book any justice. There are a lot of twists so it’s a little hard to describe, but I honestly thought it was AMAZING. It’s the kind of book you just don’t want to put down. The writing and setting are both so magical and the plot was so unique. I even really liked the romance in this novel. The ending left me craving more and I can’t wait for the release of the sequel, Legendary, this May. Day seven’s challenge was created by Laura’s Literary Letters, and it was to write a book recommendation. I recommend reading Nice Try, Jane Sinner, a YA contemporary novel by Lianne Oelke. This was one of my first reads of 2018 and I absolutely adored it. It’s about a girl named Jane who was recently expelled from high school after a bit of a mental breakdown. Her parents want her to earn her diploma so they pressure her into enrolling in a high school completion program at her local community college. She agrees on the condition that she can move out. Needing somewhere to live, she decides to sign up for a reality show, House of Orange, that is run by one of the students at her new school. Not only will she have somewhere to live, but she’ll also have a chance to win a used car and some tuition money. Told from Jane’s journal entries, Nice Try, Jane Sinner is a story of one pessimistic girl’s attempt to get her life back together while figuring out who she is and what she believes in. This book handles some heavy topics in a light-hearted, hilarious manner. The plot is unlike any other I’ve ever read and the cast of characters is unforgettable.